NCI has received an 18-month, $10 million task order from the U.S. Army to perform engineering and integration support services on the military branch’s intelligence and security command systems. The company will work to develop, install and test the command, control, communications, computers and intelligence and information technology systems of the Fort Meade, Maryland-based command, NCI said Tuesday. 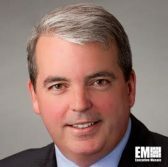 Paul Dillahay, NCI’s president and CEO, said the company will provide C4I/IT implementations focused on engineering to INSCOM. The work covers various classification levels for data network systems, voice, applications, audio and visual systems, auxiliary applications, end user locations and connectivity requirements, infrastructure equipment room and premise distribution wiring setups.